London should be lauded for its 21st century lido renaissance, but it also has some fine indoor efforts. From barrel-vaulted Victorian palaces of water, to spanking new Olympic venues, these indoor pools are the best this city has to offer. 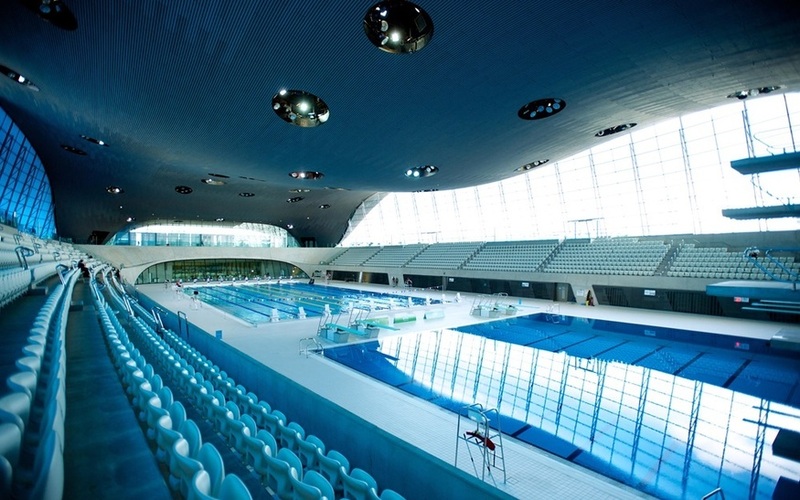 There's pleasure to be had just in ogling Zaha Hadid's undulating Aquatics Centre — not to mention reminiscing about all the breathtaking things that happened here during the 2012 London Games. 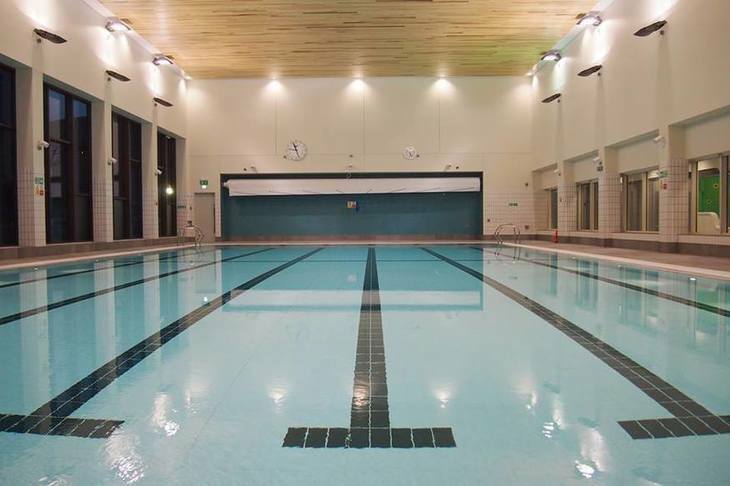 Fortunately, you don't need to be Tom Daley or Siobhan-Marie O'Connor to take a dip; this is part of the legacy, which means for a few quid, you can do the backstroke and admire the flowing ceiling, while getting some exercise. Tackle one of the crazy-high diving boards, should you dare. Also swim in: Crystal Palace National Sports Centre is home to the Olympic pool's older, brutish brethren. We have a soft spot for it — it's got the crazy diving boards again, plus it tends to be less congested than the Aquatics Centre. Porchester Spa is a turn up for the books — a gorgeous, barrel vaulted tub with accompanying Turkish baths. It's the latter where the real excitement is to be found — a sweating, swearing mass of flesh and gossip, that's as fun and as salacious as any good boozer. 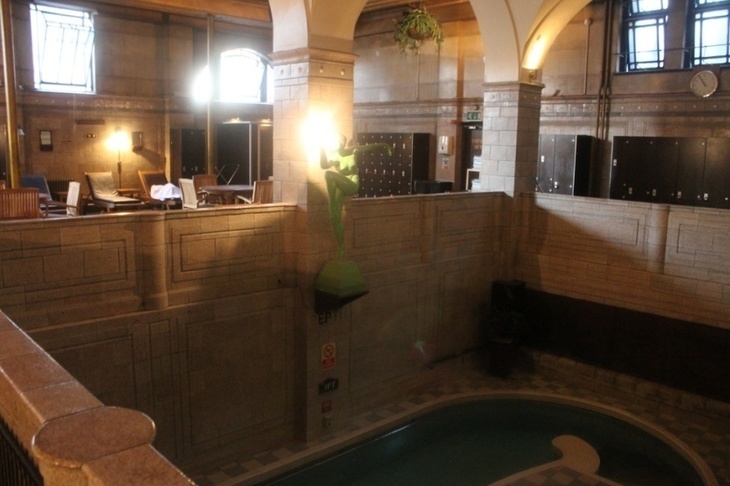 You can spend a good few hours flitting from pool to steam room, to lounger, surrounded by faded, 1920s decadence. There are plans to polish up the baths, and we pray to god they don't bleach away its spit and sawdust charm. Also swim in: The colonnaded grandiloquence of the Royal Automobile Club's Pall Mall residence. Legend has it that this is where Her Maj learned to swim (the Queen, not Madonna). It's also the only pool on this list we've not been to. And believe us, we've tried. While we may have lost the likes of Acton and Hornsey Baths for good, it's comforting to know that some fine pools once laid to waste have been restored and refilled. Marshall Street Baths — just off Carnaby Street — is one such story. In fact, the barrel-vaulted pool with wedding cake walls and marble floor, has now come back from the dead twice. Opened in 1850, it was rebuilt in the 1930s, and — after closing in 1997 — reopened again in 2010. Aside from its central location, Marshall Street is wonderfully quiet on a Sunday afternoon (whenever we've been, anyway). Sometimes the only people to keep you company are the lifeguard and the cherubic fountain up the shallow end. Also swim in: Poplar Baths — another barrel-vaulted pool that was derelict for a while, and has now reopened its doors. Dulwich and Camberwell's pools have a strong ceiling game, too. Every Sunday, the nudists of London descend on Energybase in Bloomsbury, to swim a few lengths in their birthday suits and catch up on gossip in the shallow end. Despite the pool's windowless, basementy feel, it's a friendly vibe (you just hand someone a fiver poolside), and the swim has definite hangover-quashing properties. Just get there in plenty of time — it's often a full house. Also swim in: Actually you'll struggle to find official skinny dipping indoors elsewhere. Try Rio's, which has a smallish pool which you can use in the buff. There are lashings of pools in the City of London but to our knowledge, only one is open to the public without a membership. That's not the only reason to like Golden Lane though; once you tire of honing your front crawl, you can sign up to scuba diving lessons. The pool's sunken, many-windowed layout makes it feel a bit like you're in an aquarium — especially when passers-by press their noses against the glass, and gawp down at you. Embrace it, and pretend you're a shark. Also swim in: If you like windows, take a dip in this Canary Wharf pool, which feels like you're swimming in the Thames. Some might see it as sacrilege — others, as an ingenious use of a former chapel. 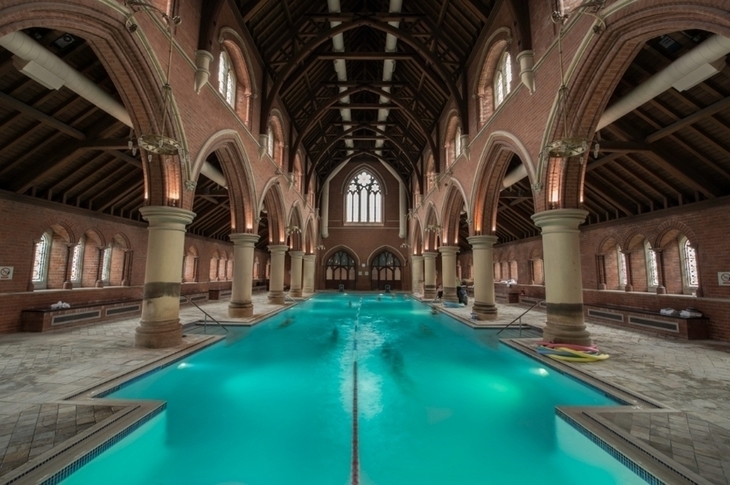 One thing's certain — you won't swim anywhere in London quite like Repton Park, what with its watery nave, and steam room for a confessional box. It is, alas, a membership-only pool, and to make the most of it, you'd have to up sticks to the fringes of Essex. Judging by how many people read our article on this place, it wouldn't surprise us if one or two of you have already made that move. Also swim in: We can't really think of anything comparable in London. Answers on a postcard. Variety is the spice of life, and at Pools on the Park, you can happily flit from indoor to outdoor pool, all morning/afternoon long. There's nothing particularly stunning about Richmond's indoor pool architecturally, but it is huge (over 33 metres long), so you're not constantly crashing into people. And you've got to love that bracing little hugging-yourself-waddle, as you brave it from covered pool to lido, and back again. 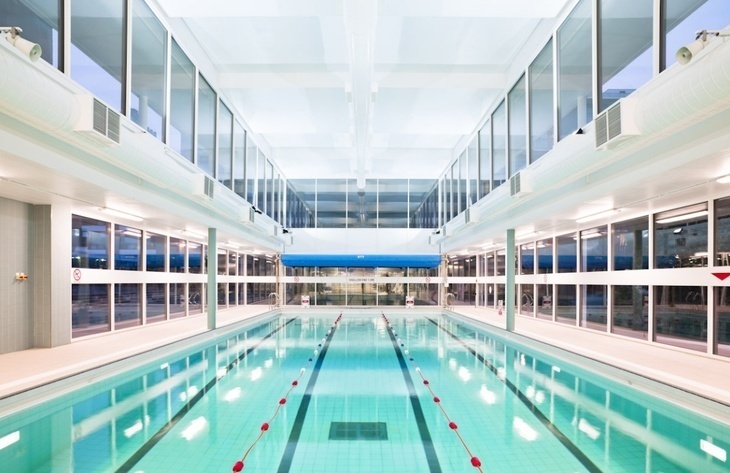 Also swim in: Oasis Sports Centre, a lido/indoor pool combo slap bang in the middle of the West End. Hillingdon Lido is great for indoor/outdoor action too (the lido is a real beaut). The Castle Centre in Elephant and Castle offers free swims to Southwark residents on Fridays, and certain times at the weekend. Already a great incentive to go — and even more so when you know that a poolside sauna and steam room are also free to use (how very European). The Elephant pool itself is bright and clean, and there's a smaller pool for the kids too. 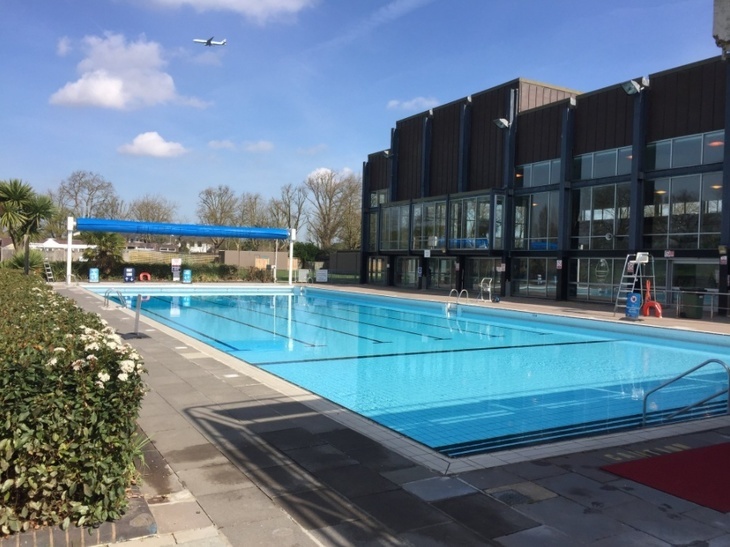 Also swim in: Other pools in Southwark, including Dulwich and Camberwell, do free swims. 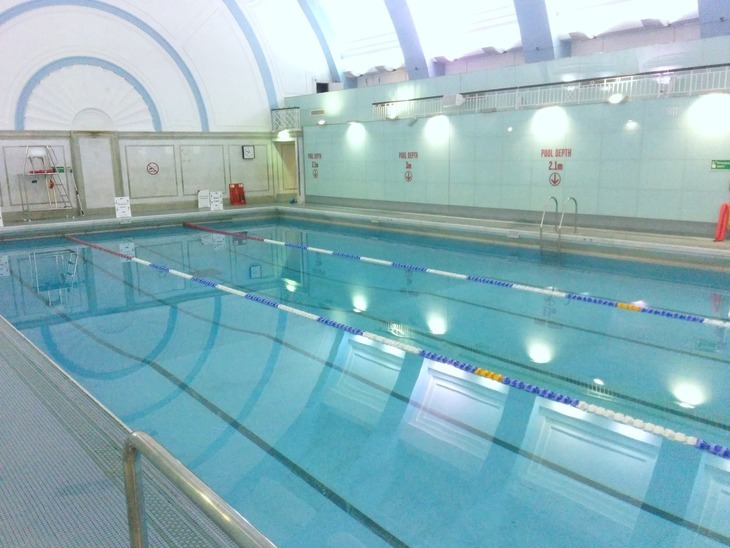 Tower Hamlets also offers free swim Fridays to residents; we recommend York Hall Baths in Bethnal Green.